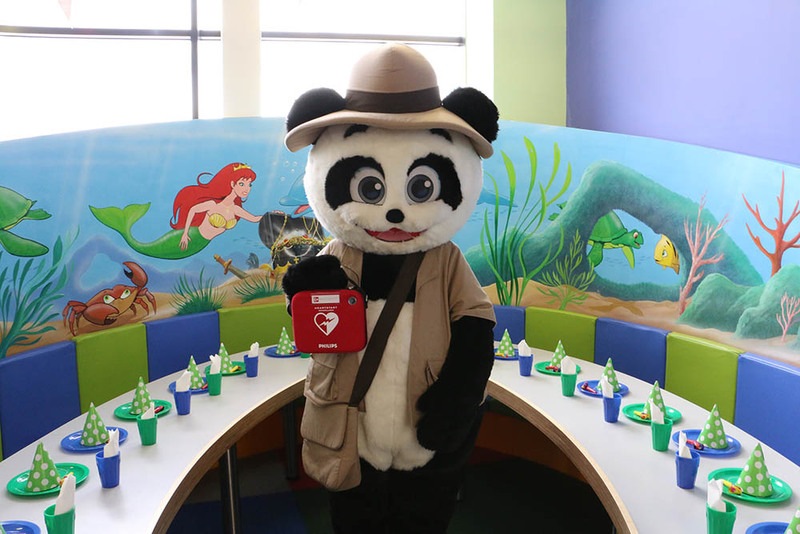 Bubbles’ World of Play, home to one of the largest and most innovative children’s indoor play frames in the UK, has launched a new charity campaign to help put defibrillators in local schools. The New Brighton-based indoor play centre has chosen to help fund defibrillators in local schools in part due to the astonishing statistics that 12-16 young people die every week in the UK from sudden cardiac arrest, a figure that can be reduced if schools have defibrillators and staff trained to use them. Bubbles’ World of Play will raise money in order to provide local schools with the necessary medical equipment and staff with the CPR training needed in the event of a student suffering from sudden cardiac arrest. Based in New Brighton, Wirral, the indoor entertainment centre has been involved with many different charity campaigns in the two years it has been open. At Christmas, the centre launched a campaign that saw it donate presents to the local children’s hospitals and hospices; money to Walking with Giants, a charity that supports children with primordial dwarfism; and donate food to local food banks through their Kind Elves charitable campaign. Speaking to the general manager of Bubbles’, Peter Collard, he says: “At Bubbles’, we’ve always been involved with charity fundraising and it is something we’re especially proud of. When you’re involved with the community as we are and are made aware of situations and conditions that affect children every day, it’s hard not to want to get involved. “We decided to raise money to buy defibrillators for schools, as we recognise how important defibrillators can be for a cardiac arrest. If schools had defibrillators and trained staff, it means that if a pupil suffered from cardiac arrest in the classroom, the staff will have the equipment and know how to use it, in order to increase the child’s chance of survival. The children’s entertainment centre will have charity buckets on site where visitors can donate their spare change and there are plans to throw some fundraising events too, though Peter won’t reveal what the team are planning just yet. “Visitors to Bubbles’ have always been very generous in popping their spare change in the charity buckets we’ve had for the various charities we support in the past, so we know that having buckets for the Defibrillator campaign is the way to go. The staff are working on some great fundraising plans too, but I don’t want to spoil them by announcing them too early! If you want to donate to Bubbles’ World of Play defibrillators campaign, you can donate at the play centre in New Brighton. For more information on sudden cardiac arrest and how defibrillators in schools can help, visit handonheart.org.